The Baranof Hot Springs is located in Warm Springs Bay which is just off of Chatham Strait. It receives its name from the eponymous hot springs. Baranof Hot Springs is also the outlet of Baranof Lake and Baronof River. Taking a small trip to the hot springs is a great way for the family to get out and relax. 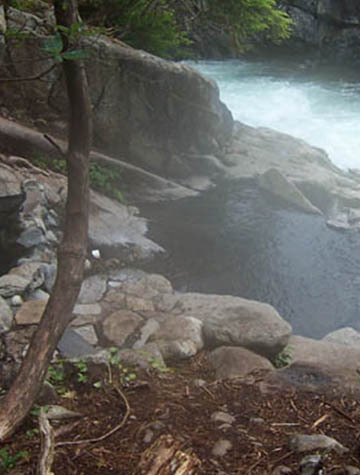 Let the surrounding waterfall and running rivers relax you as your body soaks in the hot springs. As well as natural outdoor Hot Pools, there is a public bath house which features three separate tubs and communal Hot Springs Pools.